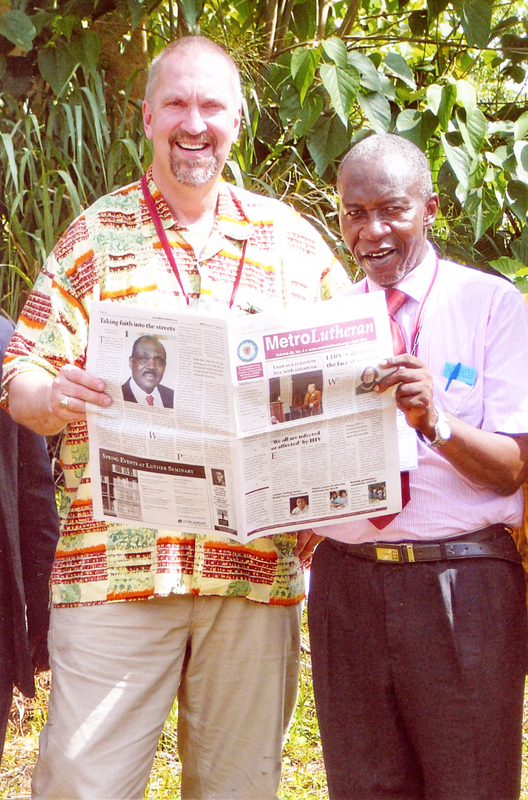 Every two years the Evangelical Lutheran Church in Cameroon (ELCC) brings together its clergy, church workers, and delegates of its 1,500 congregations, as well as representatives from the various overseas partners and special invited guests to look at past, present, and future goals of the ELCC. 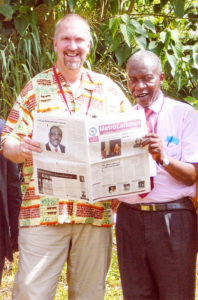 The 27th national assembly was held May 5-8 in Betaré Oya, Cameroon. The ELCC grew out of the efforts of missionaries who came, first from the U.S. in the early 1920s, followed a year later by missionaries from Norway. More recently missionaries have come from France, Canada, and Finland to help carry on the mission of the ELCC. The goals of the original mission include sharing the gospel message and helping to minister to the various needs of the people of Cameroon and its neighbors as the local and traditional leaders work to improve the standard of living. By 1978 the ELCC was formed and as more and more people became educated, both in country as well as overseas, the ongoing need for missionaries lessened as the Cameroonians themselves picked up increased responsibility for the various programs and projects of the ELCC. Today there are only a handful of missionaries in very specialized positions who continue to work closely with the ELCC. The ELCC operates many educational, medical, development, and evangelical programs. The ELCA and the Norwegian Mission Society, headquartered in Oslo, Norway, provide a substantial amount of financial and technical assistance. The South Dakota Synod has supported special projects such as church roofs, scholarships for children’s education, and theological education for adults. The ELCA encourages its U.S. synods to seek out churches overseas and to develop a closer relationship, known as the Companion Synod Relationship. The ELCC and the ELCA’s South Dakota Synod have such a relationship. The South Dakota Synod has supported special projects such as church roofs, scholarships for children’s education, and theological education for adults. The ELCC maintains a significant connection to the ELCA even when there are differences over actions or policies. The ELCC struggles with limited resources and communication challenges, with more than 275 languages/ethnic groups in Cameroon. Jim Noss was a missionary in Cameroon for many years. He attended the 27th national assembly of the ELCC.